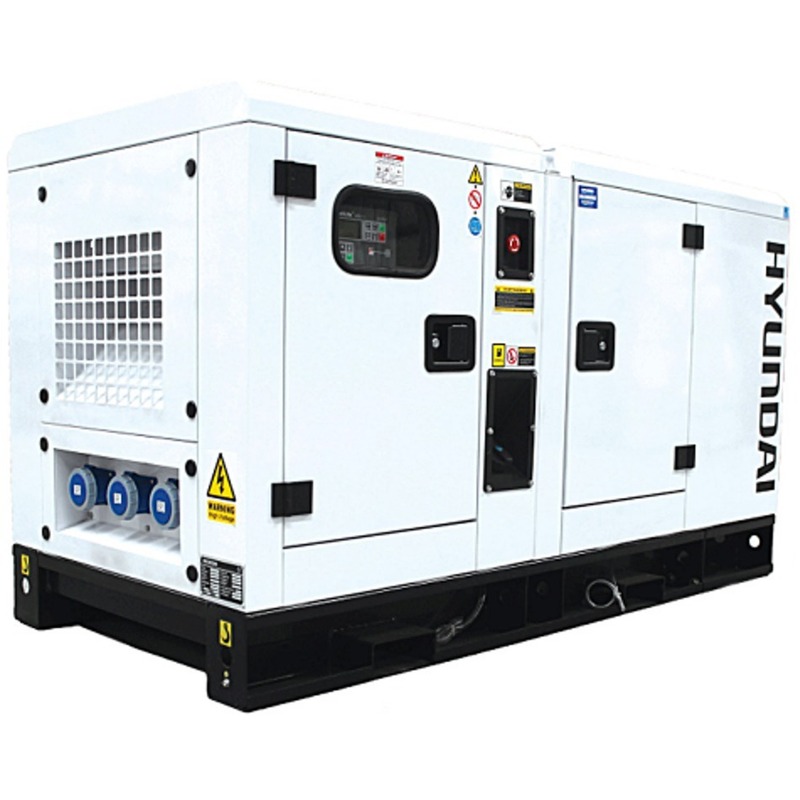 The Hyundai DHY22KSE is a three phase diesel generator with a maximum output of 22kVA. Designed for domestic or professional use, the DHY22KSE is powered by a 21hp HY490 diesel engine and is equipped an AVR alternator to produce clean energy. This means that any sensitive electronic equipment, such as televisions, PCs and laptops, can safely be powered by the DHY22KSE. 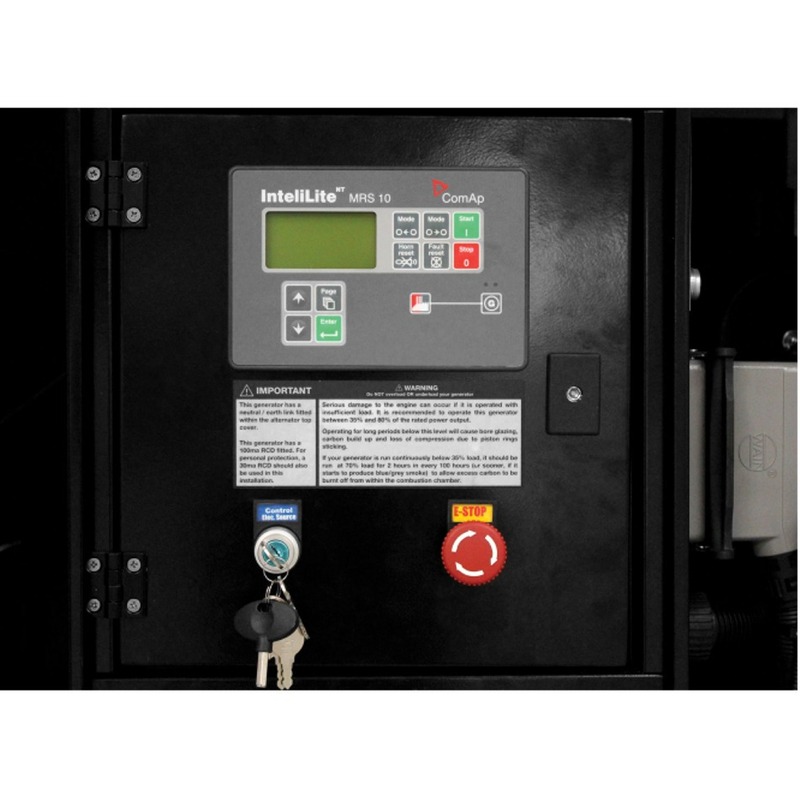 The DHY22KSE can be started manually by using the key, or connected to an ATS (Automatic Transfer Switch) system. 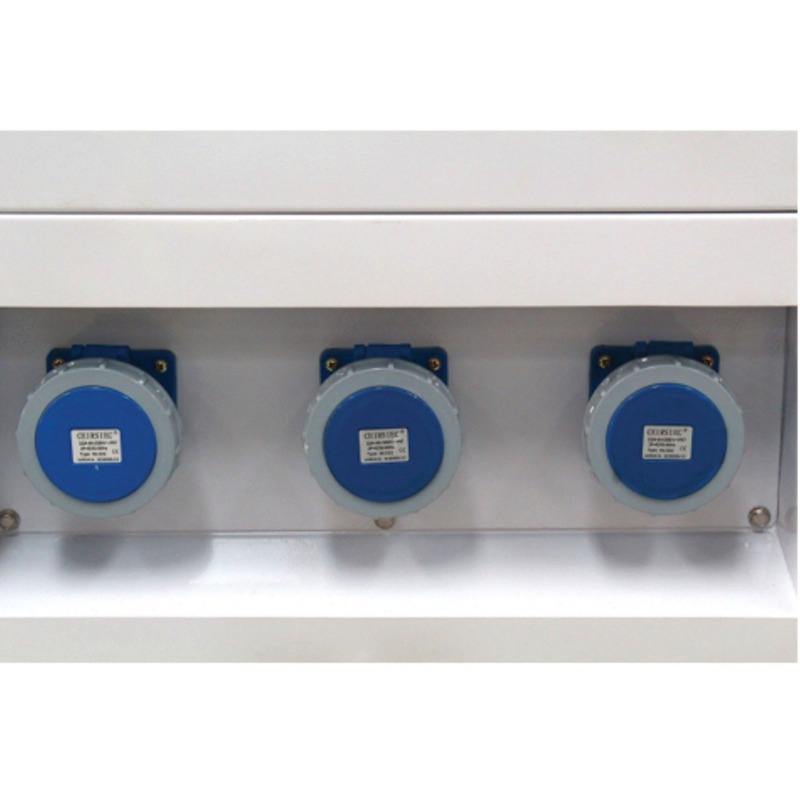 An ATS system will automatically detect a loss of power from the mains, turn your DHY22KSE on automatically, and then turn it off again when power returns from the mains. Housed in a weather-proof silenced canopy, the DHY22KSE produces only 65dB @ 7 metres which makes it a quiet standby generator which won’t interrupt you at home or work. The DHY22KSE benefits from being an economical diesel generator, capable of running on red diesel which is significantly cheaper than road diesel and is safer to store than petrol. An MRS 10 Intelilite control panel with its intuitive interface gives the user an unprecedented level of control over numerous variables including the voltage and current, as well as oil pressures and the engine running hours. Equipped with a 77.5L fuel tank, the DHY22KSE is a long running standby diesel generator, using just below 2 litres of fuel per hour. Running at 1500rpm, the engine is stressed less than in 3000rpm generators and this helps extend the lifespan of the machine if properly serviced.